Photo by Jacqueline Bennett Annual Peach Festival (August 2014). 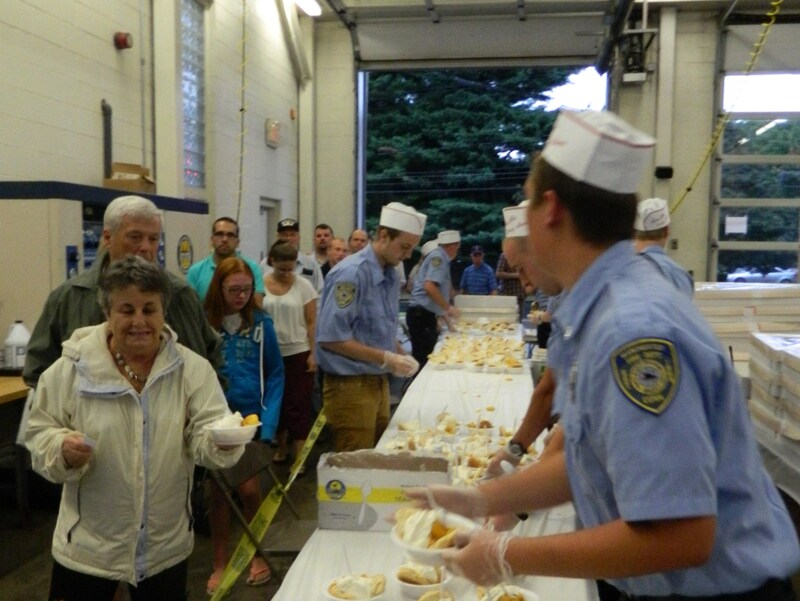 Manchester, Connecticut firefighters will host their 66th Annual Peach Festival Friday, August 28 at the Fire Headquarters on 138 Main Street. The 8th District Utilities volunteer firefighters will hold the event rain or shine. Not to fear however – the weather is predicted to be wonderful! 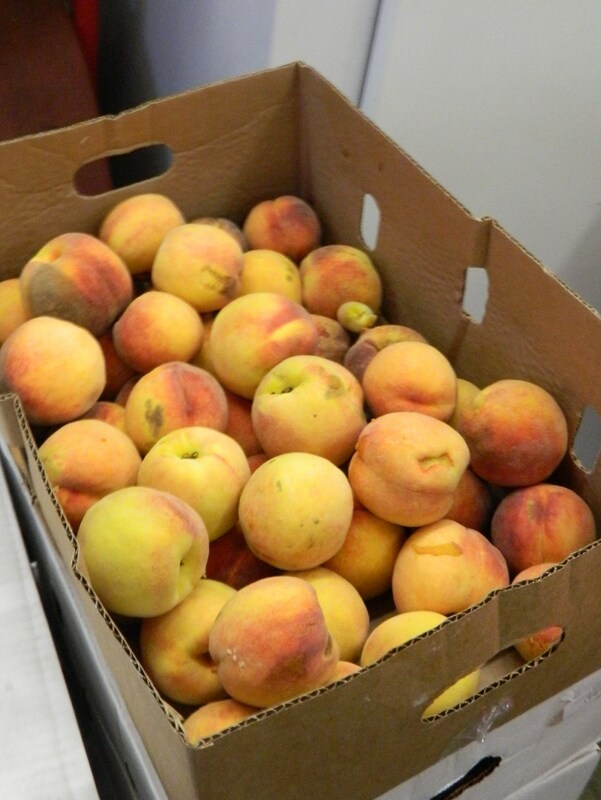 The Peach Festival is slated to get underway promptly at 6 p.m. and run to 8 p.m. or later depending on the turnout, which is usually large. 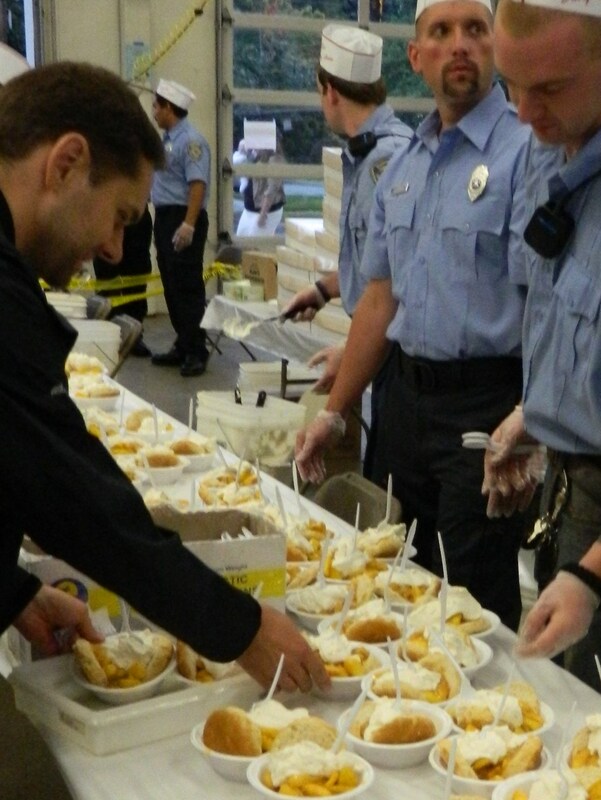 Tickets (available at the door or beforehand at the fire headquarters) are $5 for a bowl of peach shortcake topped with freshly cut peaches and whipped cream. Live music and door prizes are typically part of this end of summer hurrah. For more information call 860-643-7373. Don’t miss out on a wholesome tradition held to benefit the fire department.